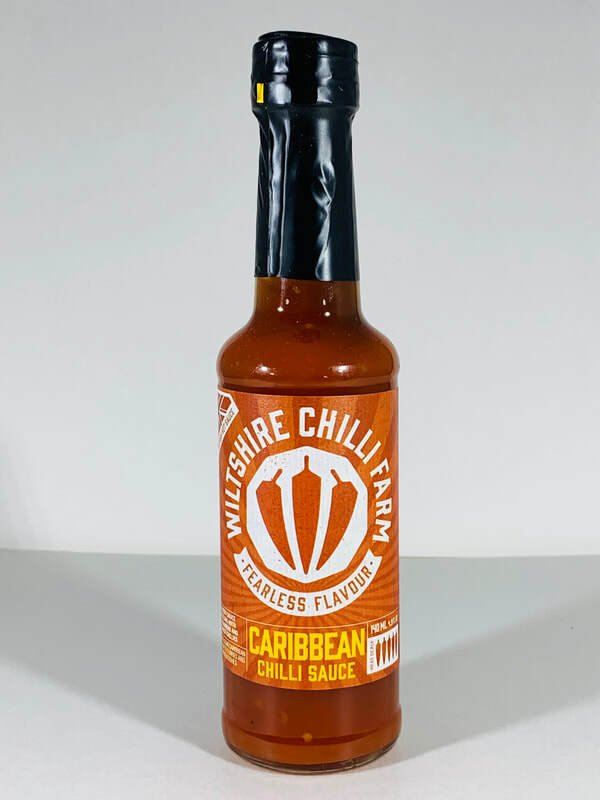 CARIBBEAN CHILLI SAUCE from WILTSHIRE CHILLI FARM.. This sauce will jump on your taste buds and not let go. 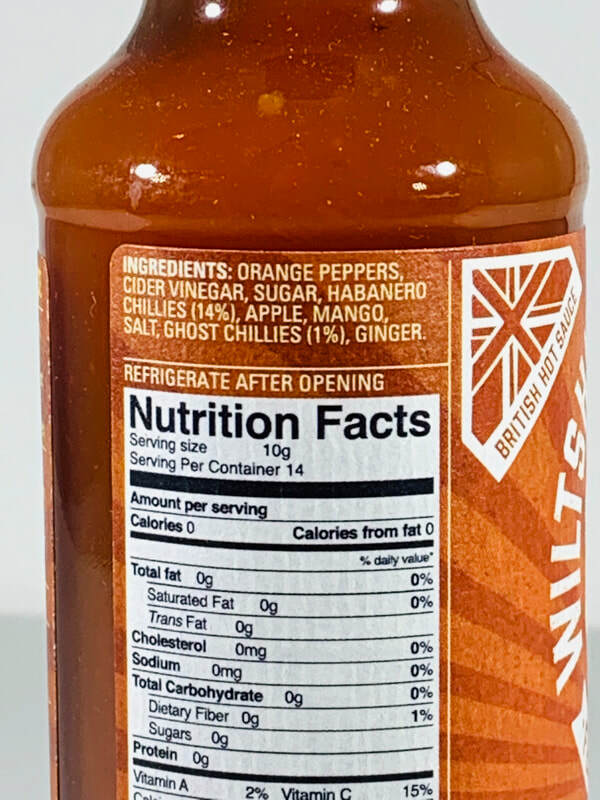 Orange sweet peppers, habanero and ghost peppers are front and center with the addition of vinegar, sugar, apple, mango, salt and a hint of ginger to take it's flavor over the top and full of heat. It's sweet, a little fruity and full flavored. This truly has a caribbean flare in every drop. This is a perfect sweet and sour chicken sauce. Wings, marinade on chicken or pork or just pour it on. Fantastic! 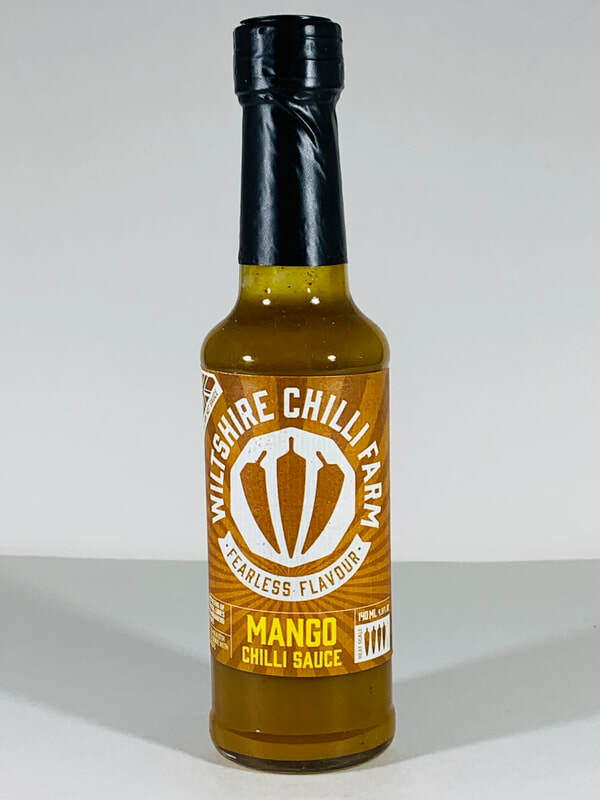 MANGO CHILLI SAUCE from WILTSHIRE CHILLI FARM.. This is a sauce that will make you go back for more. 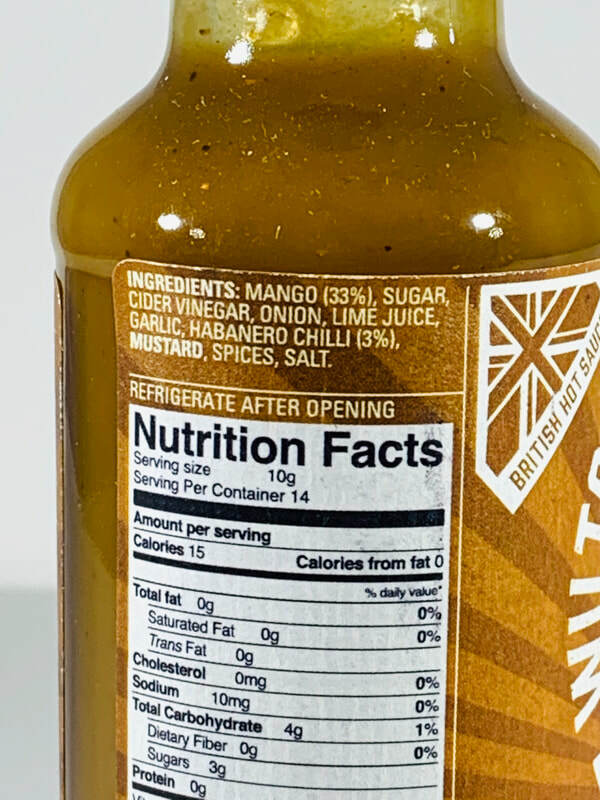 Sweet mango, sugar, vinegar, onions, lime juice, garlic, habanero, mustard and spices makes the flavor of this sauce. The mustard lingers in the background at just the right amount. This has a brinlent mixture of flavor that will make your meal come alive. Chicken, shrimp, fish, sandwiches, burgers and so much more. 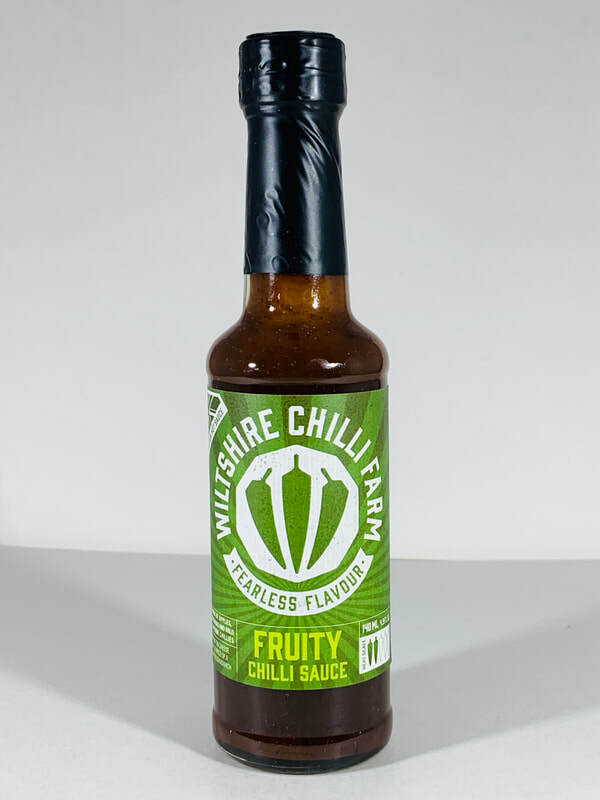 FRUITY CHILLI SAUCE from WILTSHIRE CHILLI FARM.. A rich very sweet sauce packed with the flavor of Sultanas (kinda like a raisin) Lots of brown sugar, apple juice, hint of garlic, ginger spices and Ring of fire chillies. 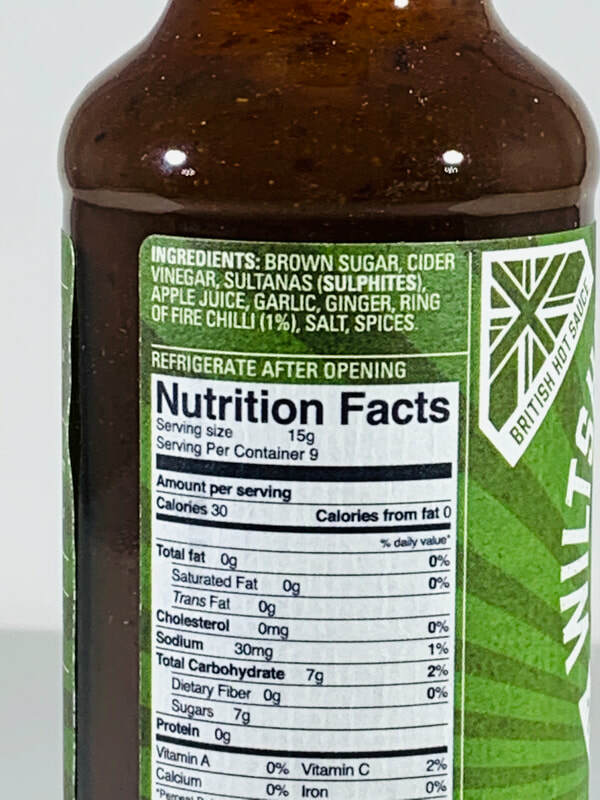 This would be a great sauce for the grill on fish, shrimp, chicken and more. I would even use it on ribs to give them a sweet fruity style flavor everyone would love. LEMON CHILLI PEPPER & GARLIC CHILLI SALT from WILTSHIRE CHILLI FARM.. Don't forget to order or pick up both of these wonderful salt and pepper grinders to keep right on your table. The mixture Black peppercorns, sea salt, pink peppercorns, yellow chilli and lemon zest makes up the LEMON CHILLI PEPPER. Sea salt, garlic and ring of fire chilli comes in the GARLIC CHILLI SALT. Just twist the top to make a fresh grind of each to season your food just the way you like it.